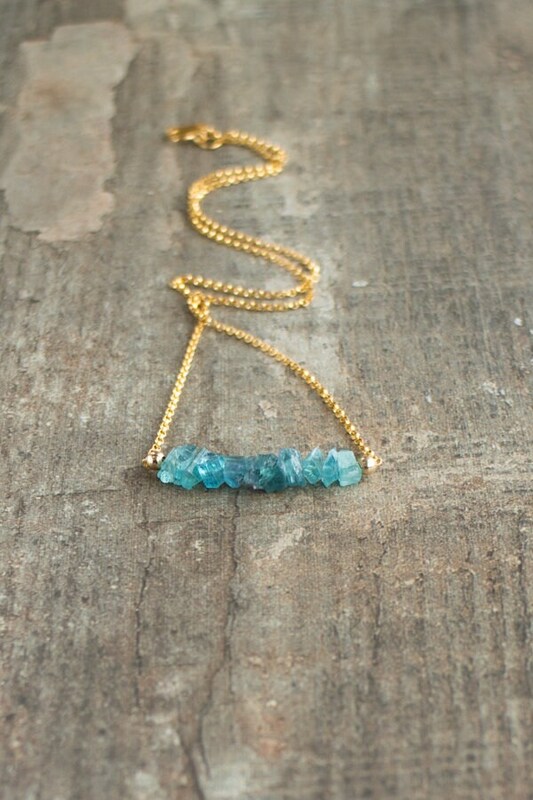 Beautiful quality raw Indicolite Blue Tourmaline stones have been carefully picked and strung in a way to create a lovely ombre effect and set seamlessly to the centre of an 14K Gold Fill chain for this unique necklace. 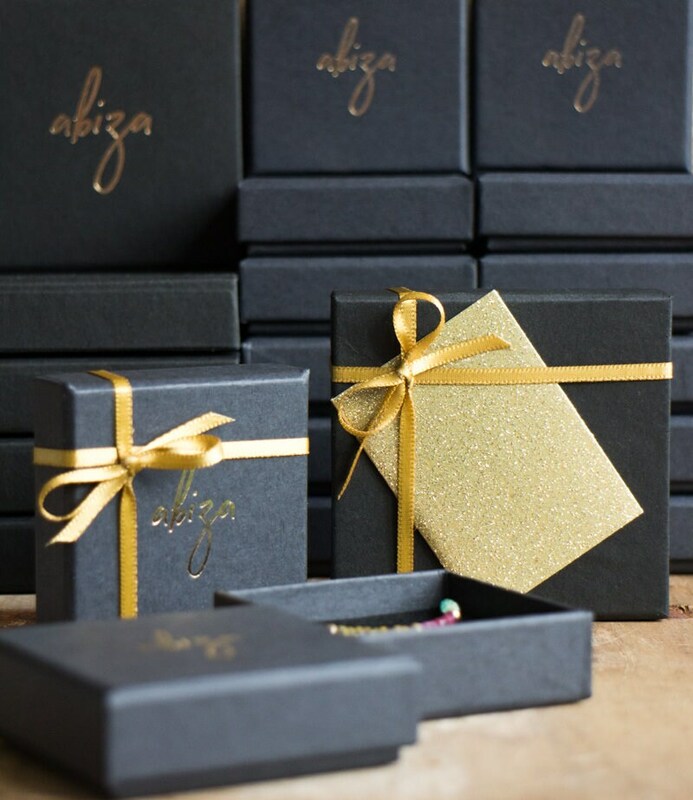 Also available in Sterling Silver and Rose Gold Filled. •Rough yet dainty and elegant! 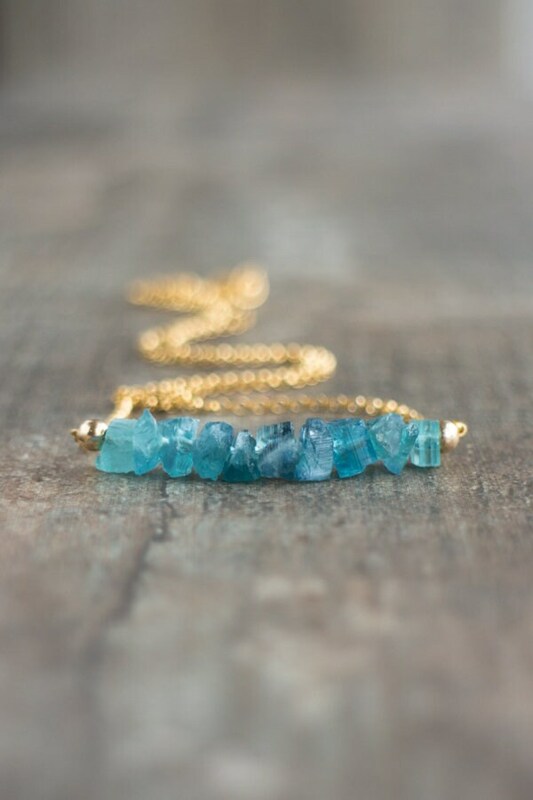 The perfect unique gift for an October Birthday or healing purposes. 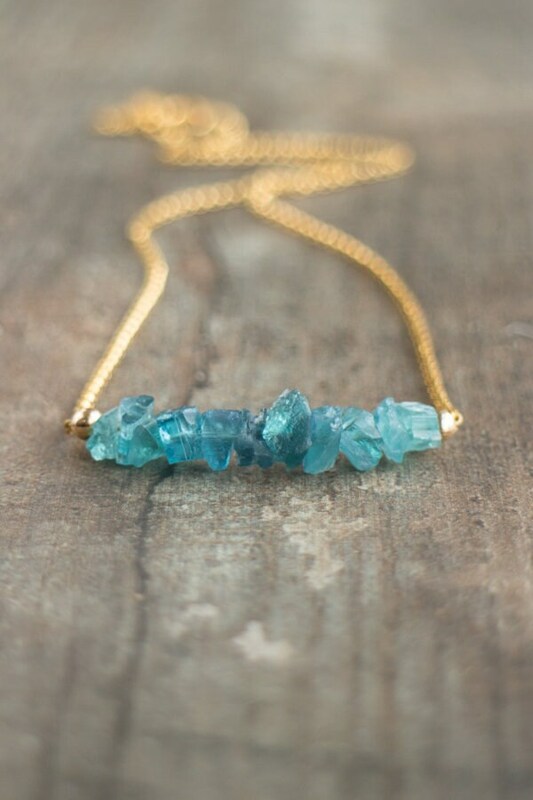 •Blue Tourmaline aka Indicolite is the rarest and most expensive form of Tourmaline. Very limited number available. •Stones are high quality with beautiful colour. 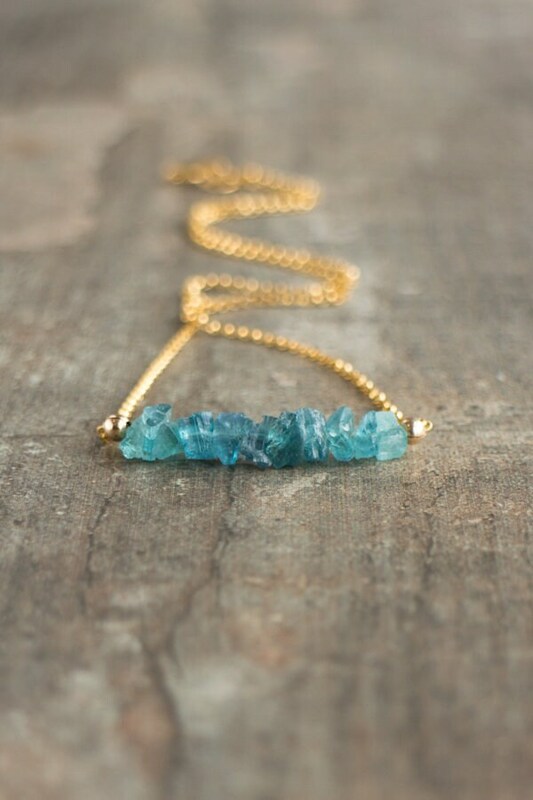 They're uncut and earth-mined, natural stones. 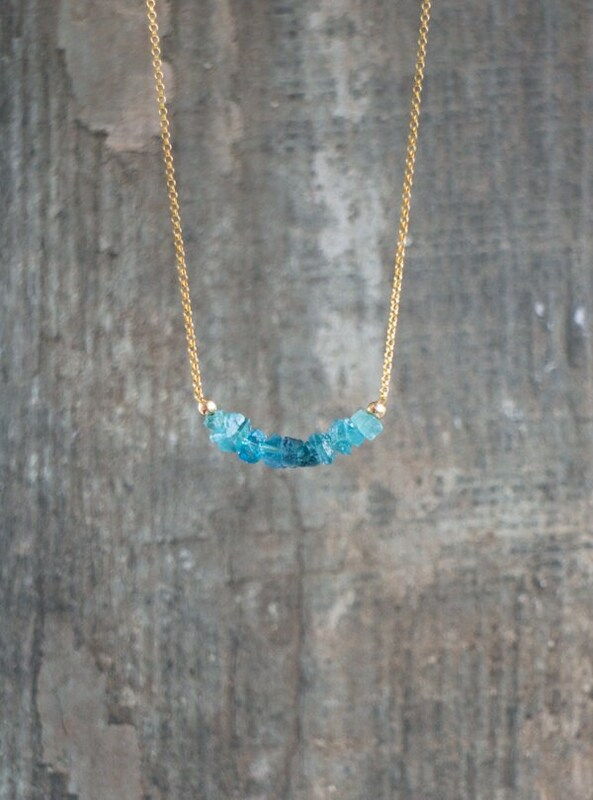 You might not receive the one shown here but it'll be as close as the natural stones allow. •Stone sizes vary between 5 to 7mm. •Please see the scale in the 4th image and choose your size from the menu. •14K Gold Fill rolo, 925 Sterling Silver Sterling Silver cable or 14K Rose Gold Filled curb chain and spring clasp closure. Absolutely beautiful piece. Thank you. Beautiful, Uniquely designed and ssooo elegant! 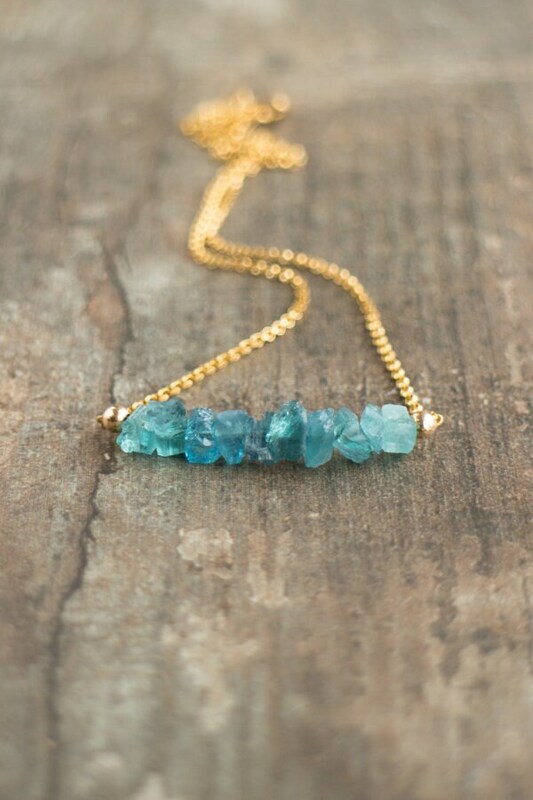 Very fine necklace, delicate yet durable .